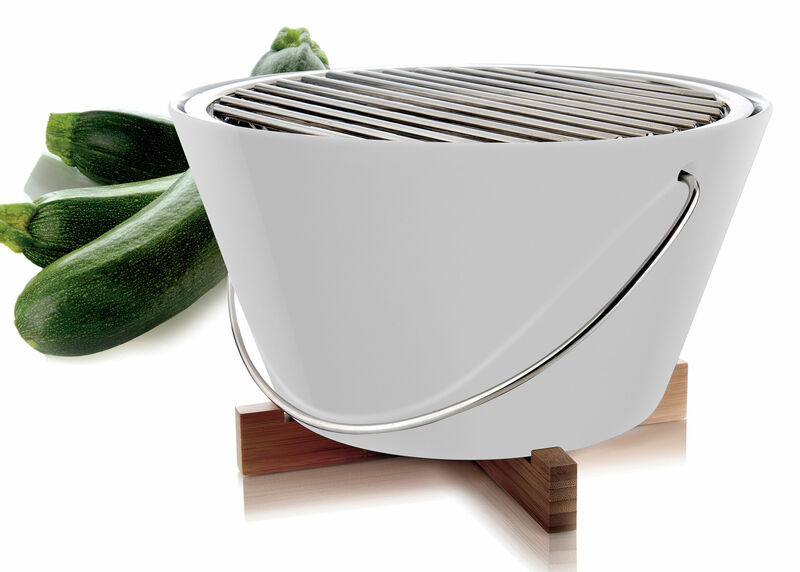 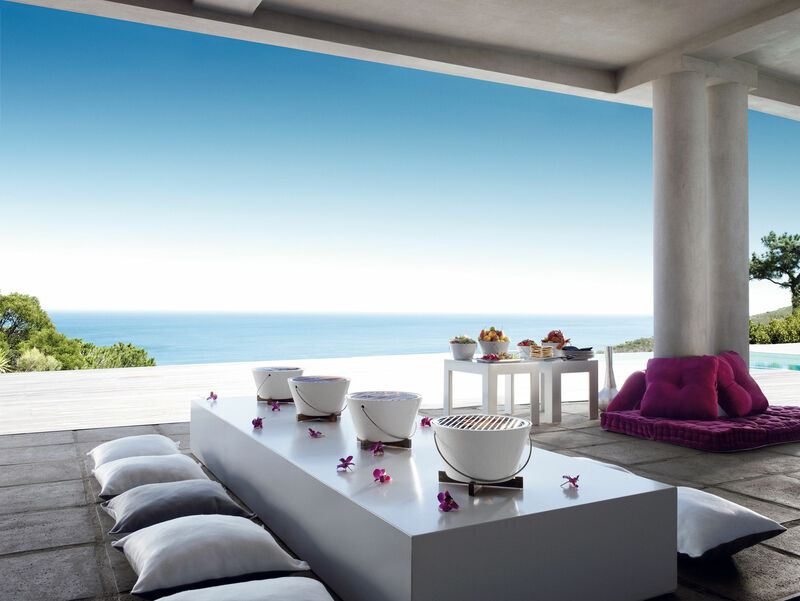 Gather round the Eva Solo table grill so everyone can join in the fun of grilling the food ! 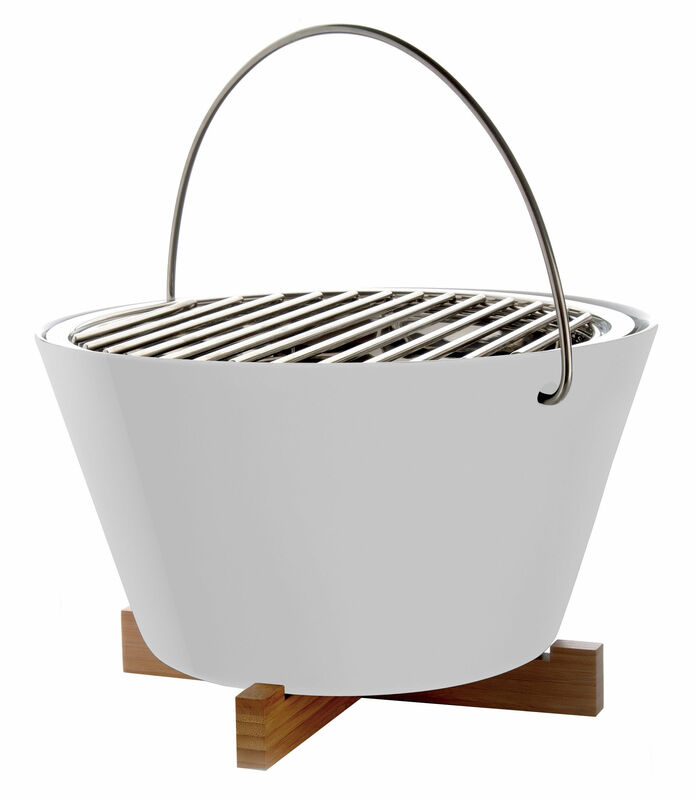 The bowl part is made of porcelain, while the grid and the insert, which holds the glowing coals, are made of stainless steel. After use, the bowl, insert and grid can be put in the dishwasher. 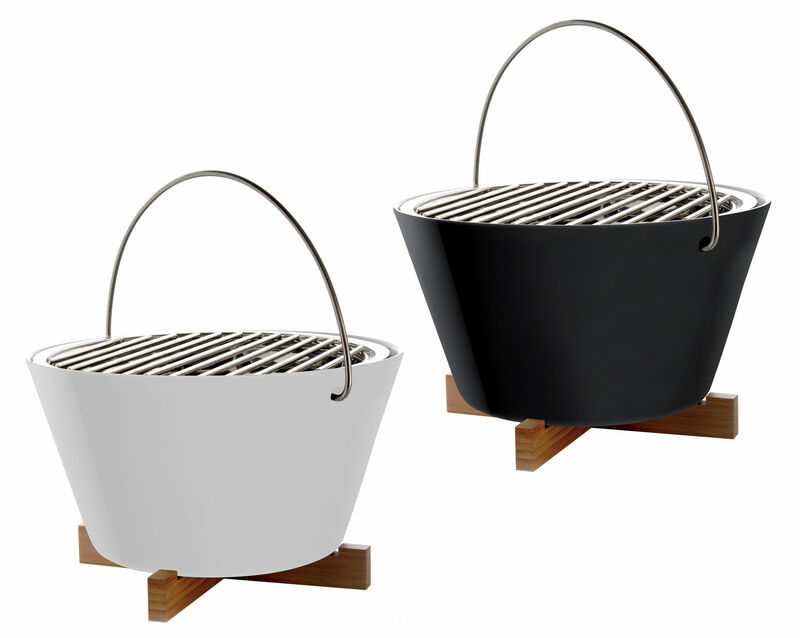 And when it is not being used for barbecuing, you can use the grill's porcelain bowl without the steel insert as a salad bowl.